Here are two children in the back of a car of a gang leader in the slum of Cite Soleil. These children are heavily armed . 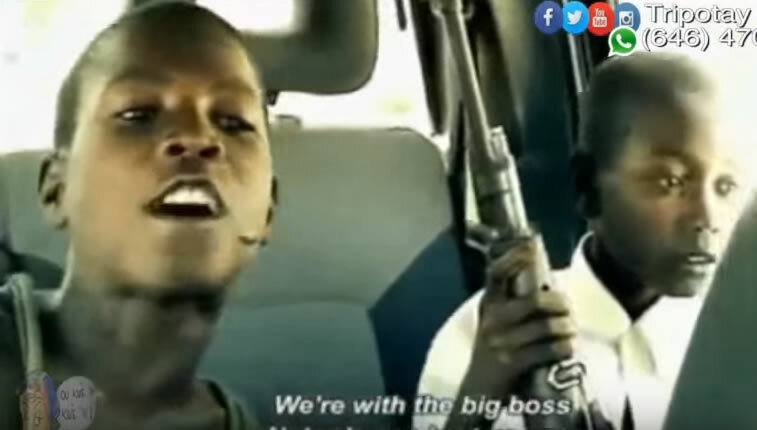 This picture was taken from a video filmed in Haiti in 2004 before the departure of Former President Jean Bertrand Aristide to exile. He is part of the group known as Chimè Cite Soleil.